Ever since 007 courted the fiery, resourceful and desirable Comtesse Teresa "Tracy" de Vicenzo in "On Her Majesty's Secret Service", her subsequent tragic death has haunted the British spy on many a mission. 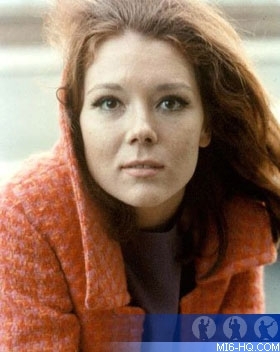 Never has a woman had such an impact on James Bond, nor has a character ever haunted the film series as frequently as that portrayed by British actress Diana Rigg. References to the late Mrs. Bond begin to haunt the James Bond film franchise from "O.H.M.S.S." to "GoldenEye". MI6 trawls the archives and plots the films and circumstances in which Tracy makes a subtle appearance. James Bond and Tracy de Vicenzo tie the knot at a flower-filled romantic wedding - even Q is in attendance. Mere hours later, on their way to their honeymoon in sunny Portugal, Bond's life is shattered forever with the assassination of his newlywed bride. The references to this single moment in Bond iconography haunt the series forever, but every time Tracy is referenced, Bond is often quick to change the subject, attempting to leave his late wife buried in the past. "...There's something I'd like you to get off your chest." After the tragic conclusion to the "O.H.M.S.S." mission, 007 is back in "Diamonds Are Forever" in his previous, familiar Scottish guise. Bond clocks up the miles in a global rampage to avenge his assassinated bride, Tracy. Bond traces his arch-villain, Blofeld, from Cairo to Tokyo in hopes of revenge. With Blofeld dispatched with - albeit a lookalike - Bond returns to active duty. Some 8 years later, on the "Spy Who Loved Me" mission, 007 cuts short Anya's summary of the 00-Agent's background when she mentions the late Tracy Bond. This is another sign of 007's true heartache and desire to forget the past that will manifest in both Dalton and Brosnan's Bond persona. Tracy's ghost crops up just two adventures later in the pre-title sequence of "For Your Eyes Only". Here we see Bond paying his respects to the grave of his late wife. Bond's visit to the churchyard is, in part, an attempt to tie Bond back down to earth post the outlandish "Moonraker". In this short sequence Bond seems somber but true to the film presence thus far, never overly emotional. Bond's visit is cut short by the arrival of a Universal Exports chopper, ready to rush him to headquarters. "The next one who catches this is the next one who..."
After Bond attends Felix's wedding to the lovely Della she tries to toss 007 her garter. Bond reacts coldly and Felix later explains:"He was married once - but that was a long time ago." Timothy Dalton's James Bond seals the unavoidable fact that 007 will remain a bachelor and never again marry. "[Have you ever] found forgiveness in the arms of all those willing women for the dead ones you failed to protect?" The jibe from Bond's once trusted companion Alec Trevelyan sees fear in the eyes of Pierce Brosnan's Bond. For a rare moment he show his weakness and that those who know him best can most easily challenge him. 007's persona shows an emotionally damaged side and a denial of his inability to protect Tracy. Again, 20 years later, the memories of Tracy Bond still haunt his adventures. Right: The doomed Tracy Bond works her way into 6 Bond outings..